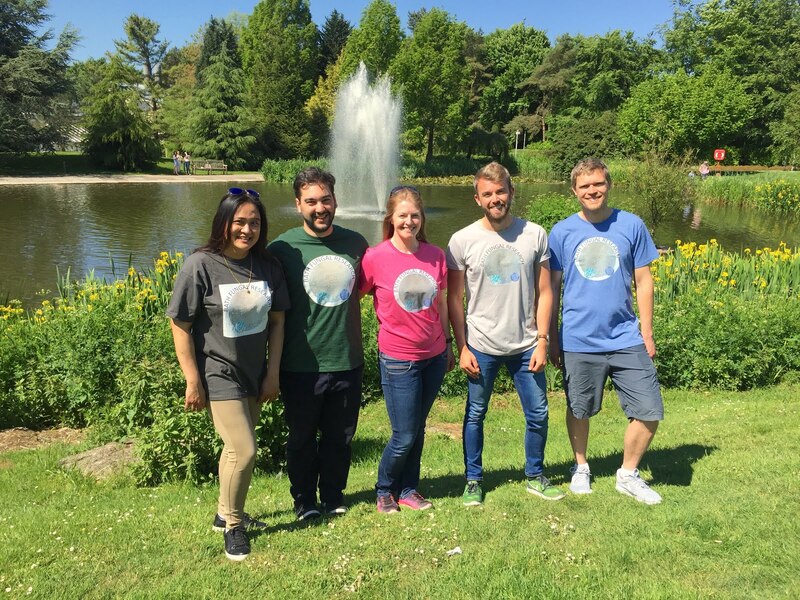 Is Basidiobolus an emerging infectious gastrointestinal disease? A couple of papers in the last few years have been interested in answering that question, one from Vikram et al. and one from El-Shabrawi and Kamal. 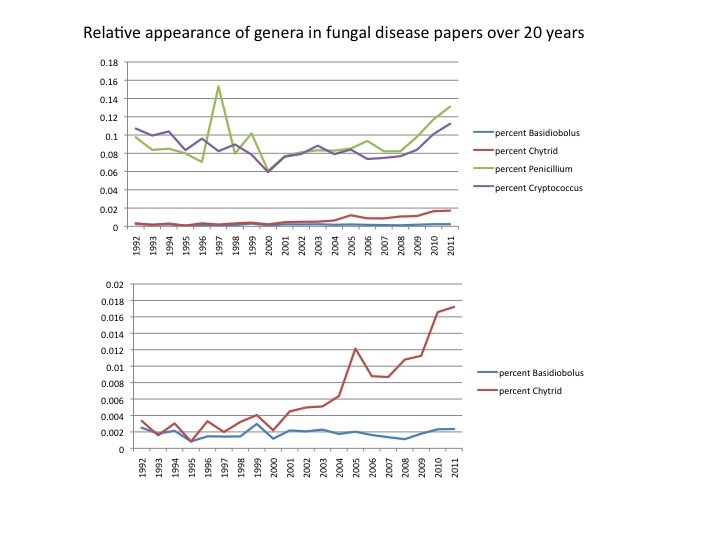 I did some Google Scholar searching for years from 1992-2011 and found a small trend towards a relative increase in in citations pulled out by the search terms 'Basidiobolus' and 'Fungal Disease' compared to those pulled up by 'Fungal Disease' alone in the last couple years. 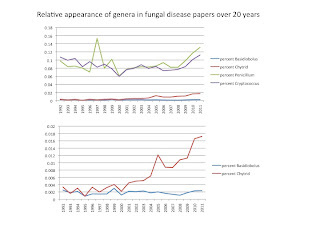 Compared to a real recognized emergence like Chytridiomycosis it doesn't look like much, and neither of these lesser known fungi make much of a mark in the landscape of fungal disease literature compared to big players. I'm pretty interested in Basidiobolus. It is shown here in the background images on this page. Although the consensus currently seems to be that there are probably a lot of species out there, only one name is generally used Basidiobolus ranarum. I think there will be some more activity on this genus in the near future.